‘They’ say that letter writing is a dying art form. ‘They’ say that handwriting is a dying art form. And it’s all thanks to email, social media and texting; the rise of portable technology fulfilling our need to connect with other human beings through instant gratification and some well chosen pointer finger placements. However, like many dying art forms, handwriting and letter writing could be on the verge of a resurrection, rising like the proverbial phoenix from the flames. Why? because of stationery supplied by companies like Honey Tree Publishing. Handwriting must be the bane of teaching, I remember only too well the “Write bigger”, “Write more clearly”, “Write neater” comments in angry red pen across my primary school books. Then there were the marks deducted for poor grammar, spelling and untidiness. The complexities of our language combined with an inability to present it in a beautiful script (I always yearned to master calligraphy, or failing that bubble writing both equally impressive and something I still haven’t managed to achieve) conspire to put us off handwriting at a young age. However, I do remember the thrill of receiving a handwritten letter when at University. The excitement that friends who were suddenly scattered across the country had actually taken the time to sit at a desk and write out their news. Longhand. Then, go out and get a stamp and post it. Yes, I am THAT old. I remember sitting at my own desk crafting my witty anecdotes, persuading my friends that they really should come and visit, and attempting to reassure a long-distance love that I remained true. Now, most of these letters were written on A4 Cambridge lined paper ripped out of a pad and the same paper we’d submit our assignments on. Every now and then though, usually after Christmas, we’d have a special pad that was creamy and thick. That made a satisfying crease when folded. Which prompted a search for the fountain pen rather than the leaky Bic. Paper that immediately gave our young adult ramblings a gravitas that, let’s face it, they really didn’t deserve. 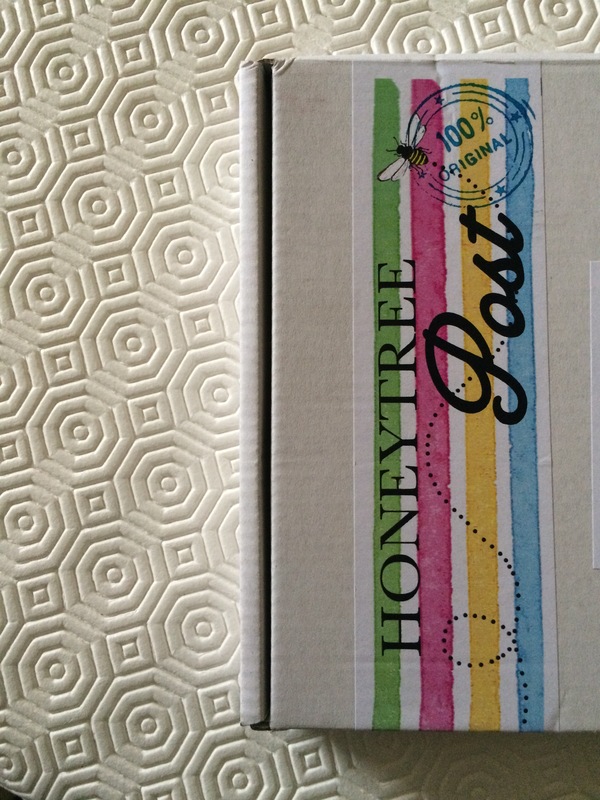 My children are now discovering the joys, and pitfalls, of handwriting and the lovely Bees at Honey Tree got in touch and sent us a pack of stationary to review from their monthly subscription pack, Honey Tree Post, for children. Subscriptions can be bought for 12, 6, 3 or 1 month and range in price from £10.50 to £15 for a single month. 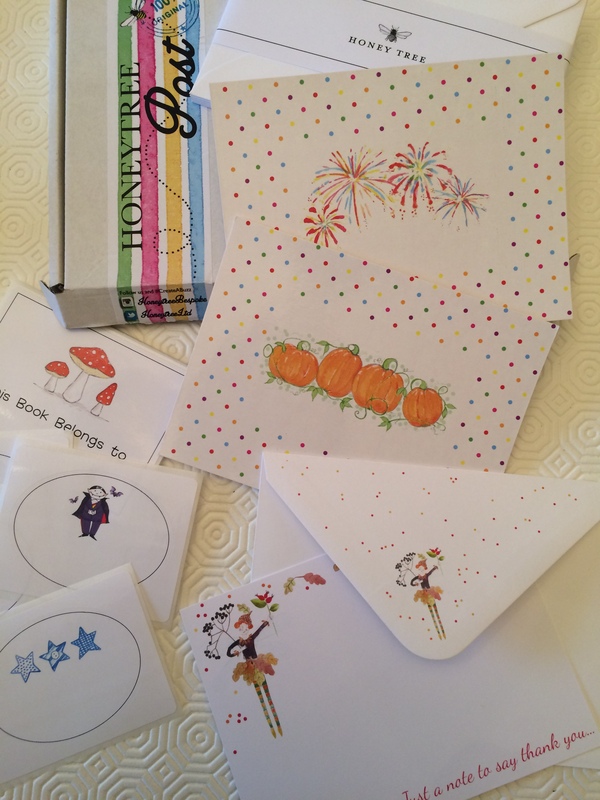 Honey Tree’s Queen Bee sent us the October pack and it is crammed with writing paper, postcards, stickers, cards and envelopes all on an Autumnal theme featuring fireworks, pumpkins, and Autumn Fairy and even Dracula. Having spent the last year in Switzerland, far removed from family and friends, Tilly and Joshua have come to appreciate the emotional high from receiving post. The simple kindness that a fellow human can show just by saying ‘hello’ through the post is massively under-rated and in today’s technological age, all too often forgotten. Honey Tree recognise this through their support of the charity Post Pals which encourages anyone and everyone to send a smile through the post to sick children. We now have family and friends scattered across the globe and both children have reached the age where they would actually quite like to be in touch with their cousins, Aunts and Uncles in between the holiday visits. Tilly has even, just this week, been telling us about her French pen friend who was introduced to her through school this term. 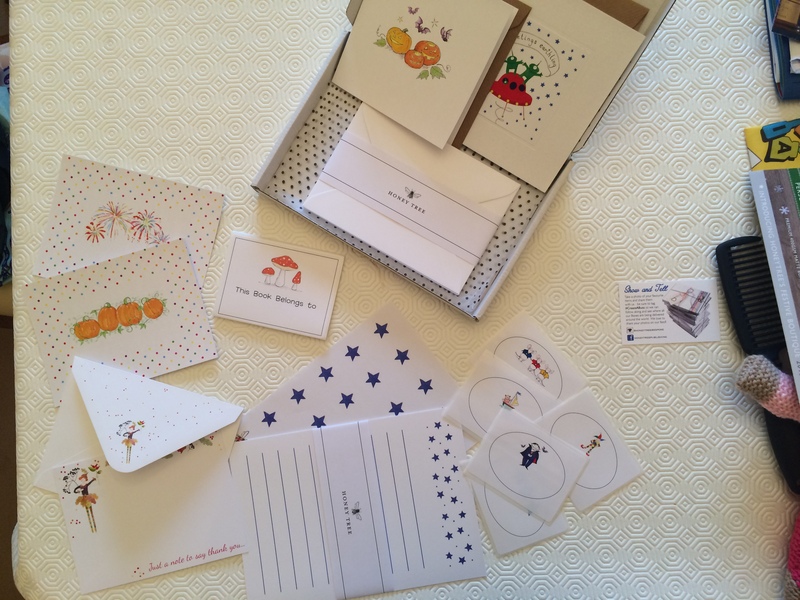 The Honey Tree Post subscription can, not only help children to develop a love for writing, and hone the art of letter writing, it can maintain an excitement for doing so all year round. How? Simply by sending a stock of new stationery supplies at the beginning of each month. Stationery that is of beautiful quality and that features wonderful, seasonal designs. Stationery that they will want to share, and with it, share their stories and love. Disclaimer: Honey Tree Publishing sent us the October pack from their Honey Tree Post subscription for review. No cash exchanged hands and all opinions are my own (and Tilly’s hers).